Here on Simple Bites, I have a pretty decent selection of preserves in my archives. 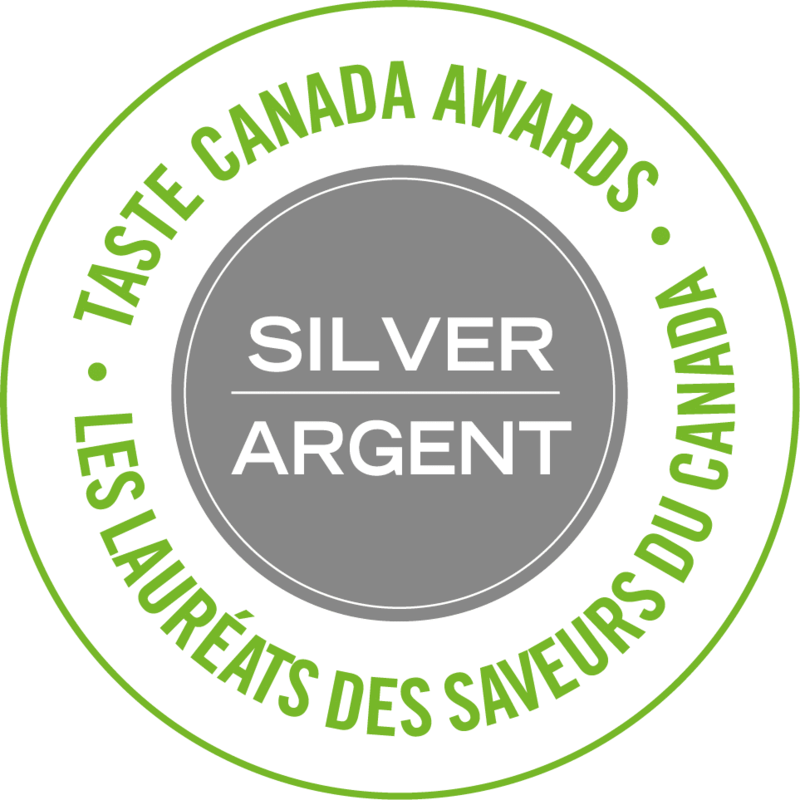 Think of them as a virtual jam pantry: fruit butters, jams, marmalade, conserves, curds, and much more. This, however, is my first ever jelly recipe. I’ll come right out and say it. This jelly has a ton of sugar. But I figured since I’m a jelly-making novice, I should start by playing by the rules – at least the first time. 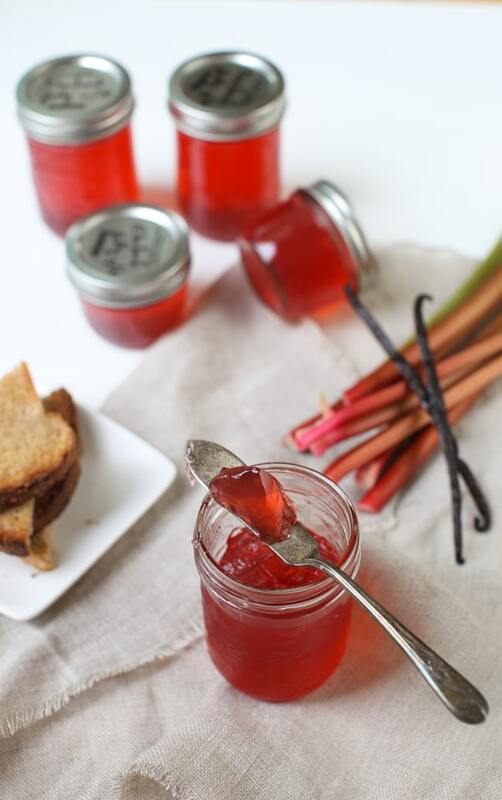 Besides, rhubarb isn’t exactly naturally sweet like an apple jelly or other fruit jellies. Newly-cut rhubarb and aromatic fresh vanilla beans come together in a delicately perfumed blushing pink jelly that is every bit as bewitching as it was years ago. I’d like to think that we’d be handing out a few jars as gifts, but to be perfectly honest, I think we’re keeping them all. This recipe is adapted from Yvonne Trembley’s book, 250 Home Preserving Favorites . 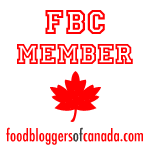 She’s a Canadian canning queen that knows a thing or two about making jelly. 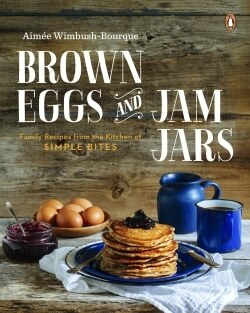 Incidentally, she tested all the preserving recipes for my upcoming cookbook, Brown Eggs and Jam Jars; you know they’re going to be solid! Newly-cut rhubarb, aromatic fresh vanilla beans, and a sugar come together in a delicately perfumed blushing punk jelly. This is a recipe to make if you have a surplus of rhubarb since it only uses the juice and discards the pulp. It delivers a decadent result, but I find that a little goes a long way. In a large heavy bottomed pot, combine rhubarb and water together over high heat. Bring to a boil; reduce heat and simmer, covered for 10 minutes. Pour sauced rhubarb into a jelly bag and let drip overnight in the refrigerator. Do not squeeze the bag. Prepare tools and five 250mL jars for hot-water canning. 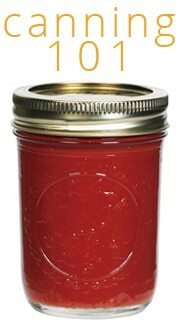 Review our basic Canning 101 article if required. Measure 4 cups of rhubarb liquid and pour into a large heavy-bottomed pot. Scrape vanilla seeds out of the pods using a paring knife and add them to the liquid. Pour in the pectin and stir the liquid with a wooden spoon until the pectin is dissolved and the vanilla seeds are distributed. Place the pot over high heat and bring to a boil, stirring constantly. Add sugar in a steady stream, stirring all the while. Return to a full boil while continuing to stir the jelly. Boil hard for 1 minute. Remove from heat and use a plastic ladle or wooden spoon to skim off any foam on the top. Ladle jelly into sterilized jars within ¼ inch of rim. Wipe the rims with a warm cloth. Add the lids and the rings, tighten jut until finger-tip tight. Process in a boiling water bath for 10 minutes Transfer the jars to a towel-lined surface and cool at room temperature for a full 24 hours. What is your favourite jelly of all time? It’s not to late for us out here in the pacific northwest–I just harvested some rhubarb! How many tsp of vanilla extract could you exchange for the vanilla beans? What five recipes would you start a novice canner on who wants to put some harvest joy in her pantry to be applied, oh, say in early February? The best ones for uncorking some summer in your winter? Thanks! I’m going to go out and check our rhubarb after seeing this. 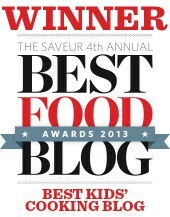 It’s been a little neglected this year, but we may just have enough for this. I’m wondering how the heck you set up the jelly bag in the fridge over a bowl over night. Any reason it needs to be in the fridge? I used a kitchen tool called a chinois…it’s like a pointy-ended strainer with a stainless steel frame. I just sat it over a measuring cup since it drips out of the pointed end. I used cheesecloth instead of a bag since that’s what I had on hand (I buy it by the yard). I made the juice last night, can’t wait to do to jelly tonight! 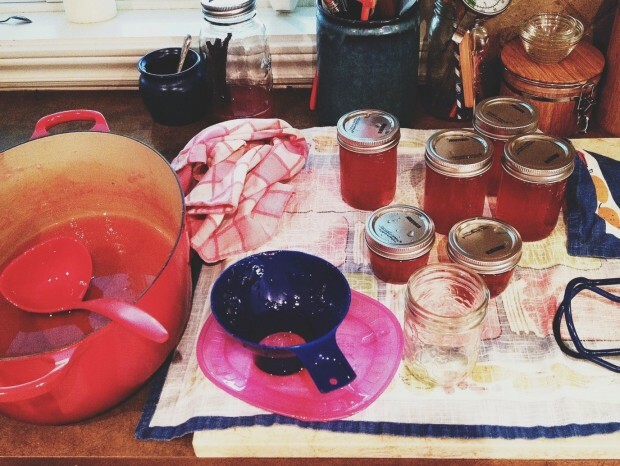 Canning and making jelly are two things that scare the heck out of me. This looks so lovely though! 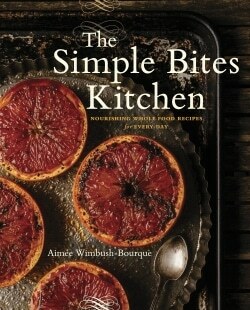 I am bursting to get my hands on a copy of your book Aimee! You are gonna make me like rhubarb! I don’t the texture of rhubarb in pies or jams, but this is awesome. So pinning this recipe. 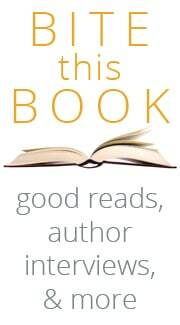 Ooh, it’s so pretty! That color! Hope you all are having a lovely trip. I used my stream juicer to juice the rhubarb and vanilla. I will make the jelly tomorrow. My house smells amazing. If the jelly tastes like it smells, I will be so happy!! Thank you for the recipe. 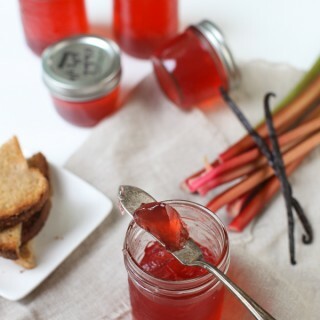 Instead of boiling the Rhubarb can I use Rhubarb juice that I extract? (I mean using a vita mix to blend up the Rhubarb and then using just the juice?) Would the juice be stronger in flavor and would I have to use more sugar if it is?